these amazing photographs were posted on colossal this week and i couldn't help but repost them right away! 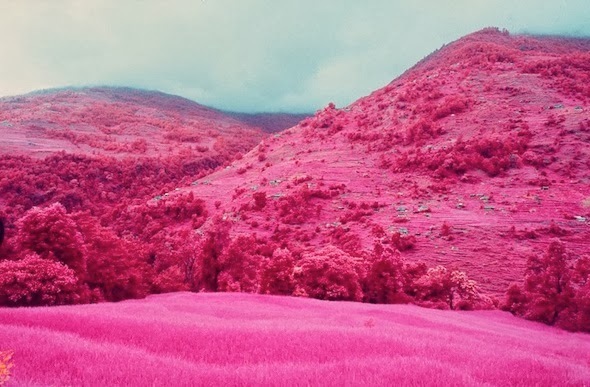 i'm very much a sucker for pink, despite years of denying it was one of my favourite colours. 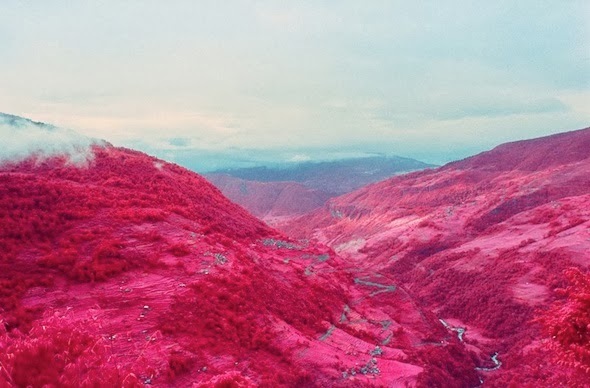 photographer sean lynch captured these pinkish red hues in nepal by taking infrared images. 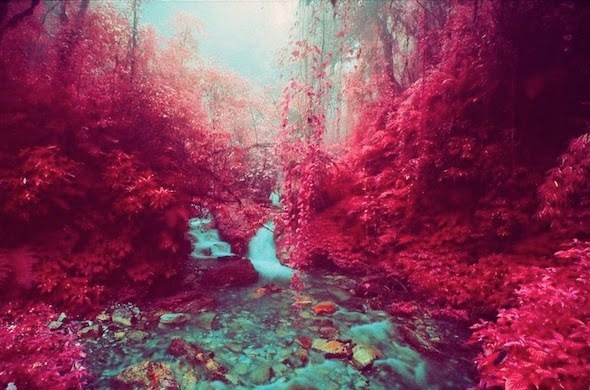 it's hard to believe that everything below with that gorgeous pink tint is actually a variation of green. 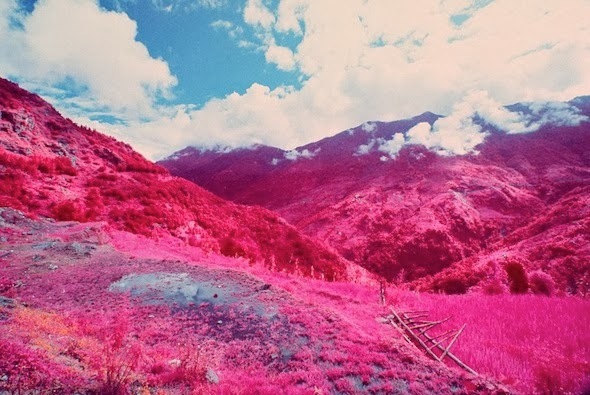 let's just say that if nature looked more like this, i might actually be inclined to take part in outdoor activities such as hiking, camping etc.